Is your track mounted on the Ceiling? Style your windows with these Linen Natural Look Sheer Curtain. This curtain has a lovely natural toned linen look to the fabric even though it is made from easy care polyester. The nubby slubs running through the fabric adds some surface interest and texture to the curtain and creates the perfect level of privacy whilst still allowing a filtered view outside. You can make your curtain as long as you like to accommodate even the tallest of windows. If you order several drops we will make sure that the stripe runs the same way on them all. Team them back with your blockout curtains, roller blinds or simply hang them as a feature on there own. 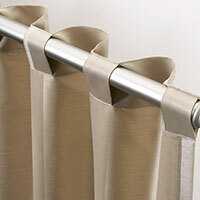 The Husk Curtain is sure to create a relaxed feel to any room and finish of your rooms styling. Please note: We’ve tried to reproduce this product as best we can but because it’s a made to order design, the image acts as a guide and may not be representative of the finished item. Pattern placement and texture of the fabric will vary. HOW TO ORDER YOUR 10 Day Custom Made Curtains. 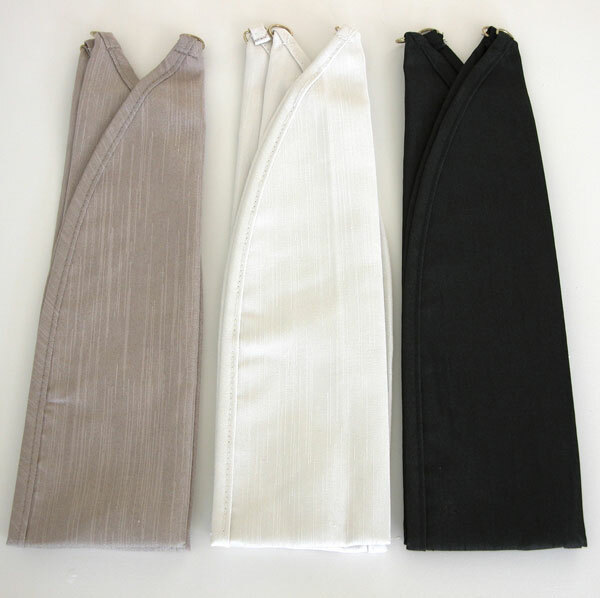 If you require extra long, extra short, extra wide, extra full or cant find what you are looking for custom made curtains may be a solution for you. You will pay a bit more for your curtains than the standard ready made ones. Why buy custom made curtains? The delivery cost for your curtains is $9.95 per set or window. You will be provided with a tracking number and they will be delivered to your door via TNT. Select the appropriate width range of your window from the width options to calculate the price of your curtains. You are now ready to select the qty and add them to your shopping cart. Once paid for your curtains will be delivered to your door within 10 days. This is a really lovely quite natural looking sheer fabric. The company recommended that I go with the pinch pleat and I am thrilled with the final result. There is a sort of grainy texture running through the fabric which you can see quite easily from the close up image on the listing. From the day of my order to arrival took 9 days.